New e-formats for the Petit Echo | M.Afr. A few weeks ago, I announced that it was now possible to download an electronic version of the Petit Echo to be transferred to your AMAZON KINDLE reader. The format used is called “MOBI“. 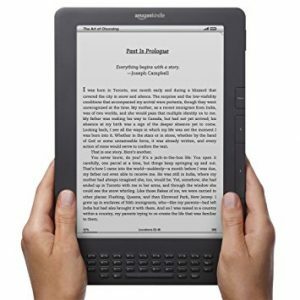 But if you use another brand of e-reader, you will need another file format called “ePUB“. Both formats will now be available in the “Download” section, in addition to the usual PDF format. Here is a reminder of how to transfer the “MOBI” file to your KINDLE. The procedure is probably similar if you have another brand of reader. Open your file explorer and move / copy the downloaded file to the “documents” folder of your Kindle. You can also read both types of files (MOBI and ePUB), very comfortably, on your computer using the excellent open source program and free “CALIBRE” that you can download HERE. My congratulations to you and the whole team. Keep it up!